1 Place the pineapple, sugar, water and lime juice in a medium saucepan over a medium heat. Bring to the boil and cook, stirring, for 8-10 minutes, or until thickened and syrupy. 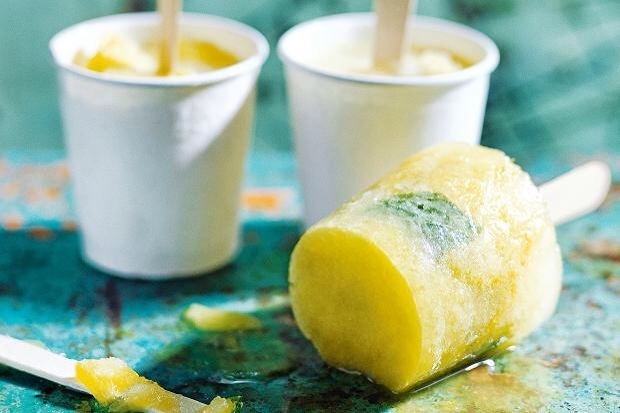 Add the mint and lime zest and use a potato masher to crush the pineapple. Refrigerate until cold. Divide the mix into 8 moulds of paper cups (125ml). Cover with foul and insert lolly stick. Freeze for 4-5 hours or until frozen. ← Rich Chinese best beef stock from an OXO!